Now that you have finally found yourself a world class DJ, what next? How do you go about planning your event further? Have no fear! Craig McConnon and his team are a group of highly professional individuals who come with over a decade of experience in event planning across the world. We have worked closely with individuals in the planning of events, as well as within larger teams. There is no situation we aren't comfortable with so you need not worry about this! Craig McConnon tried to make it easier for his clients by having a selection of tailor made packages available to use as a starting point. Many people find it easier to work off these and then add or remove items according to their individual requirements. We recommend doing so as no one event is the same and therefore each client will have different needs, even if it is simple things like the type of sound system due to the size of the venue or the number of uplighters needed. Once you have send your enquiry through to us via the website, Craig McConnon’s team will first of all ensure he is free to cover your event. Hopefully this will be the case, especially if you book early! The next step will be to arrange to discuss your event in more detail. This is usually done on the telephone in the first instance and then in person once we have a better understanding of exactly what you require. The benefits of meeting in person is that we can then show you images and videos of previous set ups that Craig McConnon has done which are similar to what you may require. It also gives us a chance to meet you and establish a good working relationship! Once we have confirmed a booking, you can hand over as much of the planning relating to the DJing to us as you like! If we need to work hand in hand with other entertainers for example, or coordinate the types of music and timings with your caterer, we can do this. It is important to Craig McConnon and the entire team that you enjoy your event as much as the other guests do! We have various extras available to you which we can discuss either when we first contact you or when we meet. These include things like LED dance floors, various lighting options, snow machines, bubble machines, smoke machines, magic photo booths, selfie mirrors etc! We are constantly updating our equipment so that we can offer our clients the very best variety and quality! If there are any items that are not listed on our catalogue, please always enquire anyway as we have many contacts in the industry and can usually find a way to get what you need! Event planning can be extremely stressful and often this stress can carry through onto the day of the event itself. We aim to avoid this through careful planning and impeccable service offered to you by Craig McConnon and the entire team. With so much experience in event planning, there is little that we don't have experience with and you can trust us to look after your event for you! 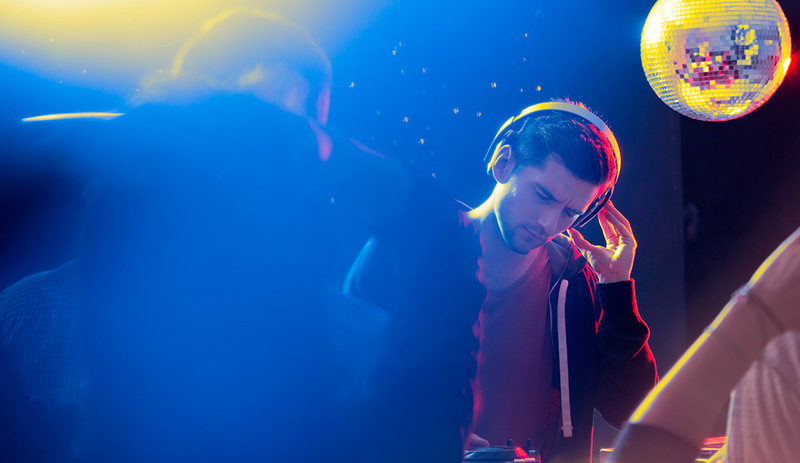 We will always ensure that we send a team as big or small as you need to set up your audio and lighting equipment, as well as any extras you have requested, so that Craig McConnon can focus on the DJing for you and you can focus on enjoying yourself and not needing to supervise the event set up!